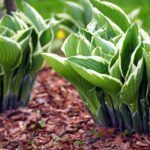 I have Hostas I planted last spring. They are growing wonderful. Can I trim them and replant some of the trimmings in another area?